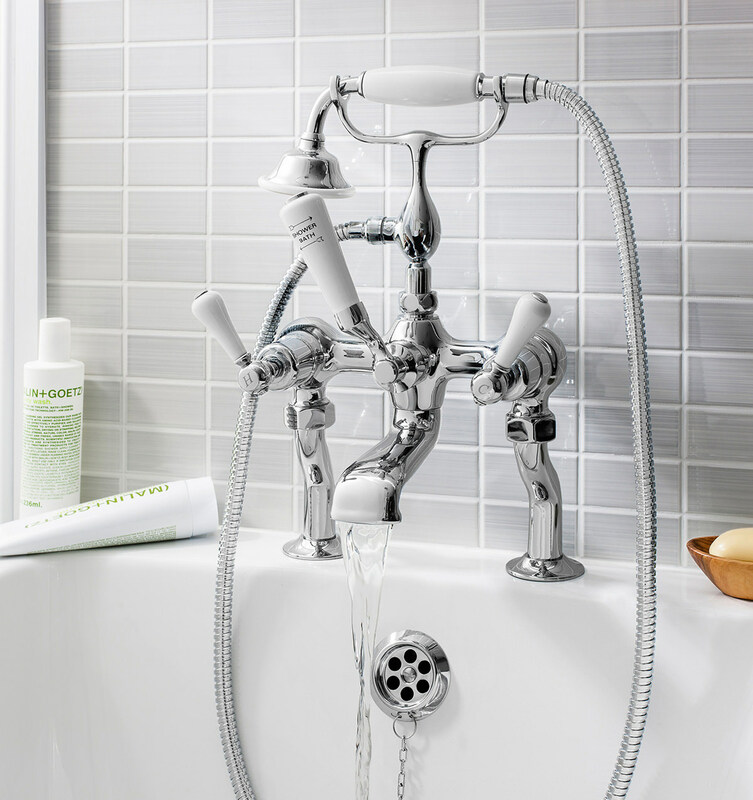 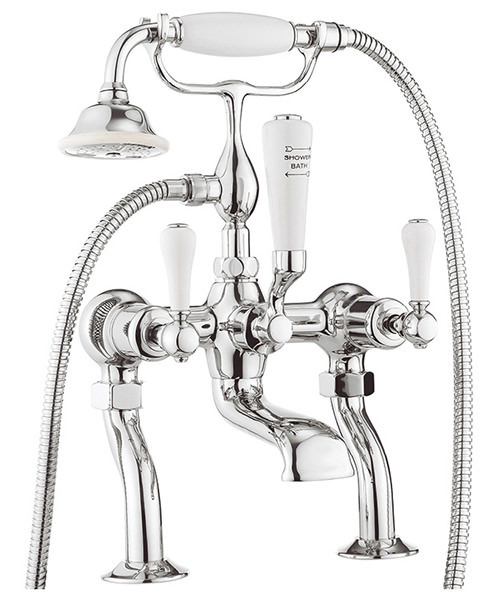 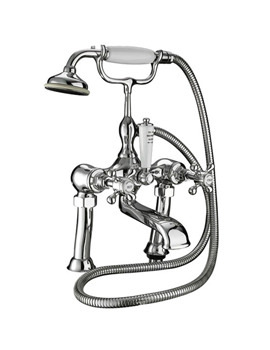 Create a rich ambience in your bathing space by adding this Crosswater Belgravia bath shower kit. 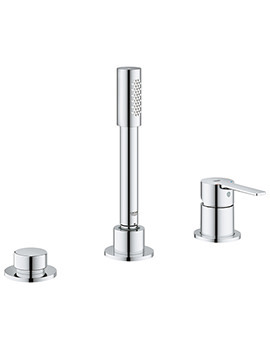 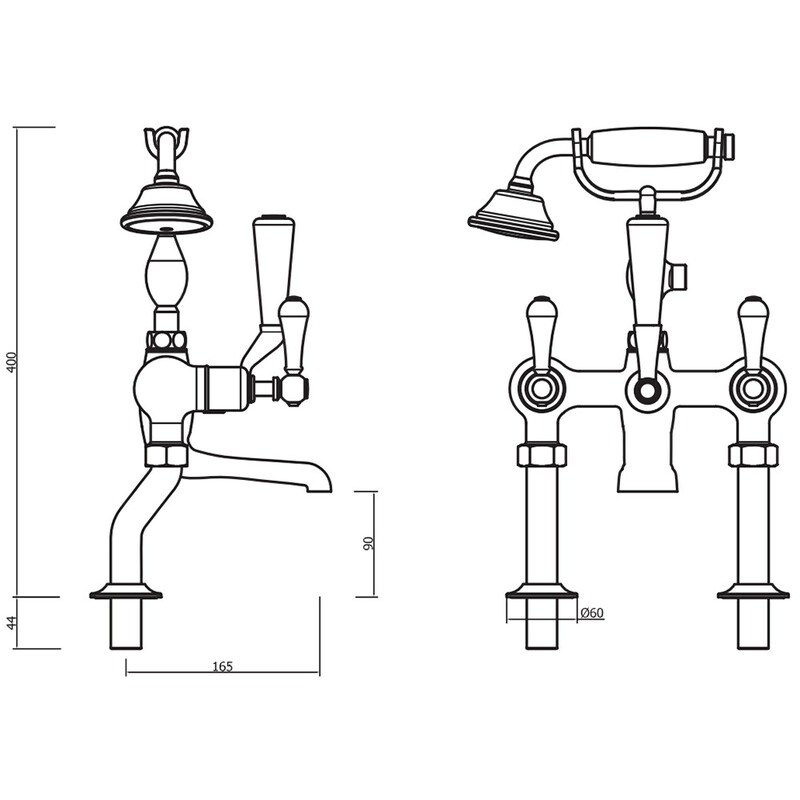 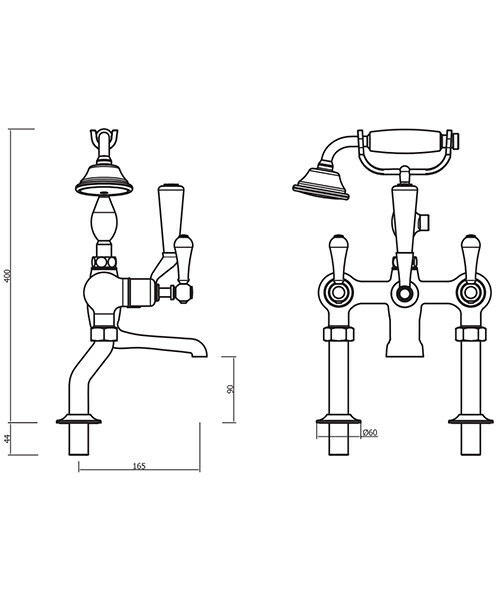 This deck mounted set includes filler with lever handles and comes with a shower component on a beautiful hose. 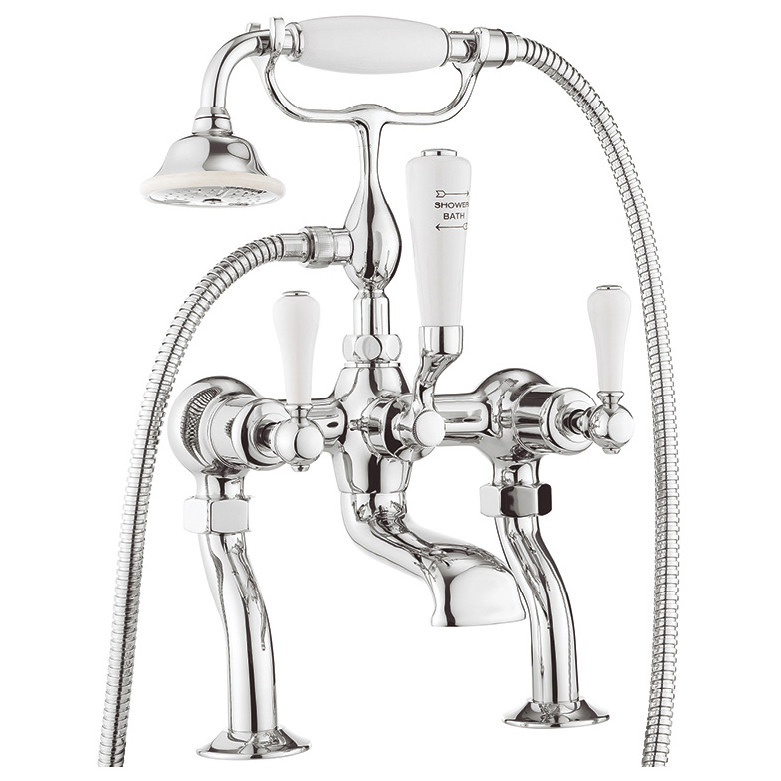 The piece is a head turner with its vintage design and typical white ceramic levers. 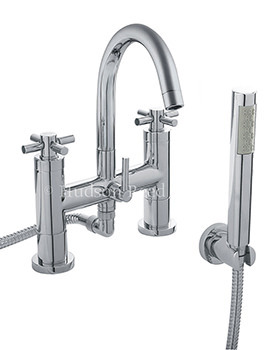 Adding to the aesthetic values, the company gives you a choice of chrome or nickel finish in this model. 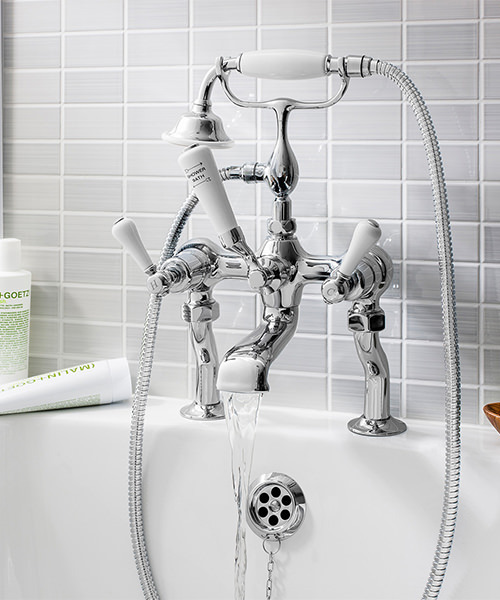 This bath filler will enhance the visual appeal of your bath, and its smart technology will give you a long lasting performance. 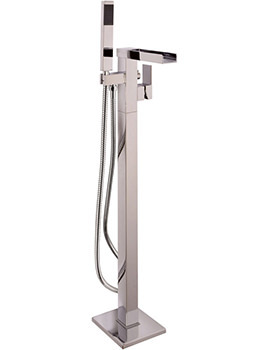 Made from quality materials, it is sturdy and is suitable for high water pressure systems and is best with a minimum pressure of 1.0 bar.